This smart keyboard theme is designed free for almost all Android devices. 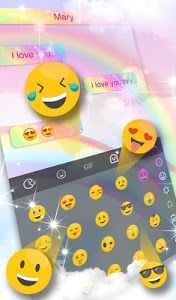 Get a fantastic keyboard theme with global hot news and more popular emojis for your android phone. 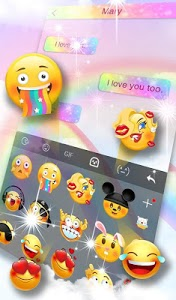 Apply to use this smart keyboard to send cute emoji and stylish stickers. 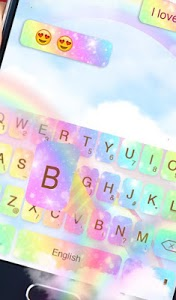 The smart keyboard analyzes millions of articles every day to deliver the top trending news influencing the world right now. Instant up-to-date Local, International, Financial, Sports and Court news, latest weather information and news features. It delivers daily breaking news, international and local news, trending videos and articles directly to you! Recommend news for you personally and provides the latest hot news. 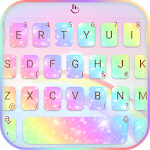 This colorful keyboard theme will bring your keyboard & text input a real new look and make your Android device keyboard unique. 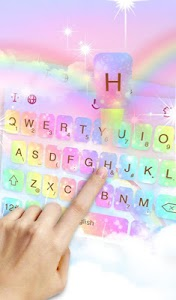 Check this keyboard theme FREE personalized design for your Keyboard right now! 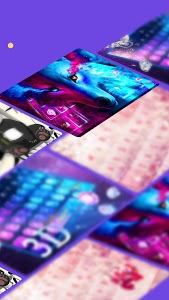 A lot of FREE and beautiful themes are waiting for you. Go and typing fun! ✅Many emojis are available for you. This smart keyboard will help you express different moods since there are thousands of diversified emojis. ✅You can share your ideas directly since keyboard have plenty of stickers. It will add more fun to your typing experience. How to apply the smart keyboard theme? (1) Download the keyboard theme and click the INSTALL button. (2) If you have already installed the keyboard, click the APPLY button. (3)After the keyboard is installed and applied, the keyboard theme will be automatically installed on your phone. (4)Click the icon of the theme and swipe down to get the latest hot news! You do not want to miss this excellent fashionable input method. 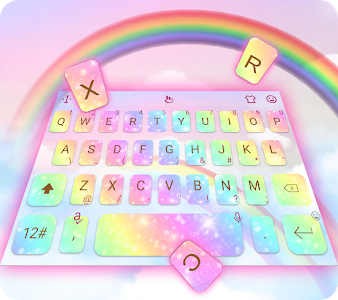 Download our keyboard for FREE NOW and enjoy ! ? 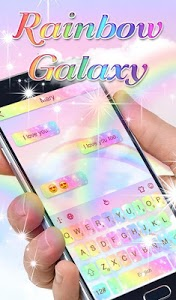 Similar to "Rainbow Galaxy Stylish Reading"